It was so nice just to have my daughter home this week from school for Thanksgiving! 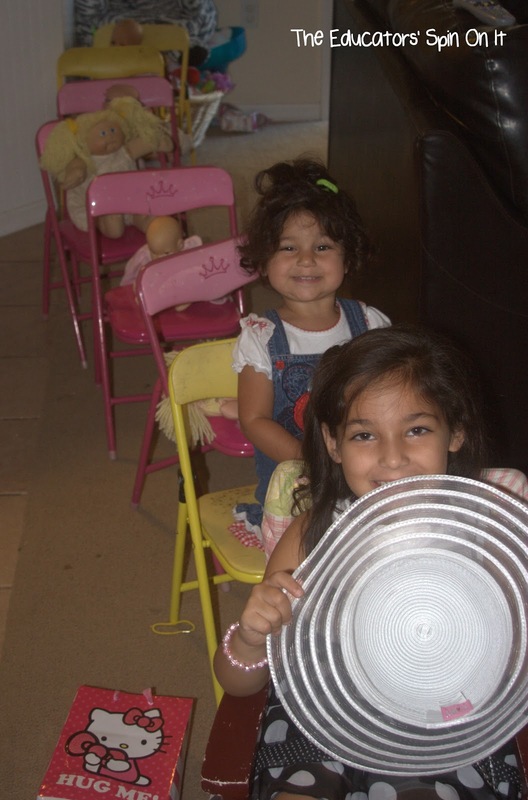 It gave her lots of opportunities for playtime with her younger sister who will be turning two next weekend. I think with our busy schedules sometimes I forget she’s just six and needs just as much play as ever with the schedule she has at school in first grade. 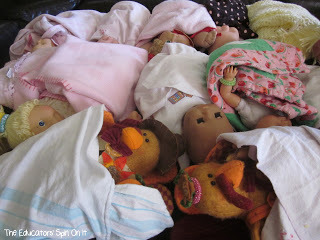 This week they had a baby nursury with the baby dolls and even an airplane trip with them. There were lots of handprint turkey created too! It’s fun to see them begin to interact with each other more and crafting together has become a fun time. 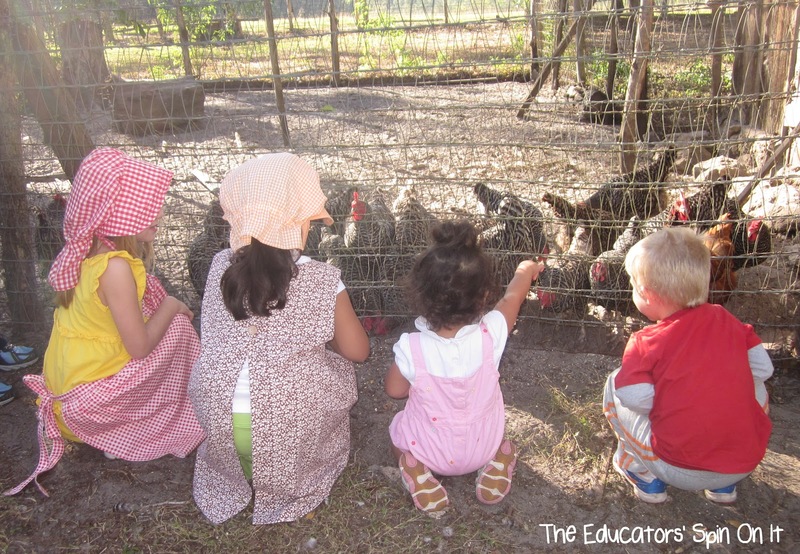 It was a lot of fun to join Amanda and her children at a local living farm where the kids had so much fun learning about life long ago. I think holiday breaks are a great time to go on adventures with kids. Do you have anything special planned for the winter break? Tomie dePaula is our new Virtual Book Club for Kids author for November. He has so many books, it’s been so much fun. We spent some time reading the Strega Nona Books and then also with his Christmas Books. We’ll be sharing some of our Christmas crafts next week! 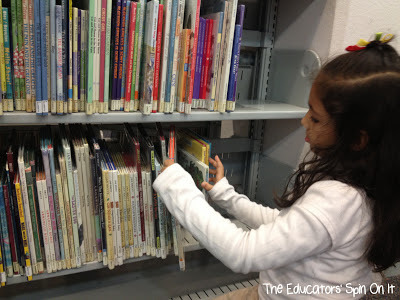 We had a chance to head to the library and spend some more time there than usual. Do you visit the library with your kids often during the school year? It’s such a great resource! 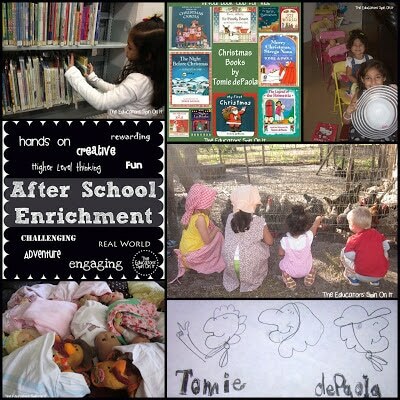 If you’re looking for some afterschool fun with books you should check out the 40+ Activities for Tomie dePaola that is growing every day on our blog hop! Jan Brett is next month! She’s a great author for the holidays! 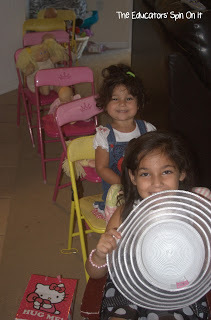 We would love to have you link up your School-Age Posts (Ages 5 and up) about your learning week after school including, crafts, activities, playtime and adventures that you are doing to enrich your children’s lives after their day at school or on the weekend! When linking up, please take a moment to comment on at least one post linked up before yours and grab our after school button to include a link on your post or site! By linking up you’re giving permission for us to share on our After School Pinterest Board or Feature on our After School party next week! Link up your after school activities and crafts! We’d love to see them! What a wonderful week you had! We didn't get the full week off, but I enjoyed having my kids at home as well. With all that has been going on I have been a little bit of a stranger to After School! 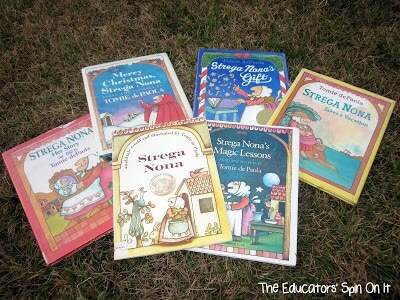 One of New Kid's favorite books right now is Strega Nona's Harvest. It's amazing how many books he has written.